yes. it is puzzling, funny, sad and has memorable characters and a strong story line, but while i think it stands on its own, i also think it would be most appreciated by those who have followed the stories and characters over the years. solid narrator but in my opinion the best narrators "disappear" in the narration and he seems to do just that. also, just as an editorial note on a pet peeve, he speaks English correctly. i don't think i heard a single word mis-pronounced, which is something I hear all too often, especially on books produced by audible (which this one is not). I had the feeling that this might have been written as a "last book". While it could serve well in this capacity, I truly hope that I am wrong. I first read this book nearly 50 years ago and have just listened to it for the second time in the last year or so. It is neither a bodice ripper, nor an adventure story, nor is it fast paced. It is, to me, a richly textured, deeply researched, historical novel which also happens to be one of the great romances of all time. It is a book which needs to be read quietly, with minimal distractions, in order to keep the complex interrelationships of both people and politics sorted out, and to appreciate and enjoy the cultural and literary subtexts which have made the book an enduring pleasure. 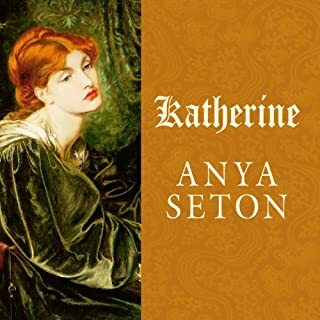 I'd really like to hear some more Anya Setons - I read most if not all of them many years ago, and would enjoy the opportunity to "read" them again. 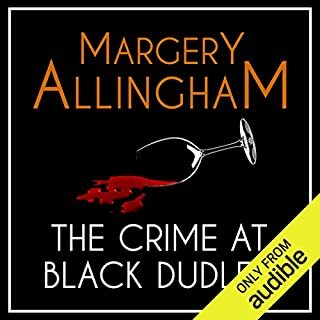 The narrator does a very creditable job and I only wish that there were more like her. As always the story and the characters hold you completely in thrall, but the new narrator, David Thorpe, makes virtually everyone sound like a complete idiot. 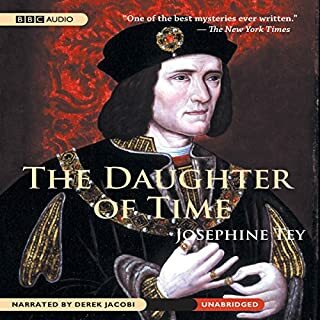 Once you screen out the voices, the book comes through fine, but the previous narrator, Francis Matthews, did an infinitely better job. Confined to a hospital bed, Scotland Yard's Inspector Alan Grant is bored. To divert his attention from his pain, a friend brings him pictures of faces. He becomes engrossed with the portrait of Richard III. How is it possible that such a sensitive-appearing soul could have been portrayed as the odious villain, the Wicked Uncle of history, responsible for the murder of his young nephews, heirs to the British throne, in order to secure the line of succession for himself? Josephine Tey like Margery Allingham writes a great big story with exceptional depth of character in a small beautifully crafted book. This one is exceptional, even amidst an exceptional oeuvre, because of its original plot format and depth of the historical research that lurks unobtrusively in the background. It is particularly timely right now due to the recent discovery of the body of Richard III. I won't say more because I don't want to spoil the mystery! 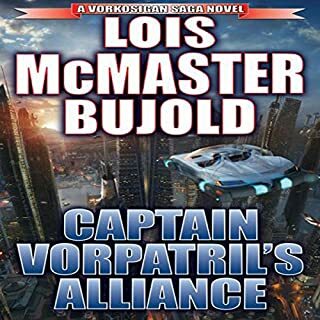 I hesitated to buy this book because, although I love the Vorkosigan series and Bujold, Ivan had never been an especially interesting character to me and I saw him largely as a fairly simplistic foil to Miles. But, I couldn't find anything else I wanted to read, and Bujold is a wonderful writer, so I thought what the hell, I'll give it a shot. Boy was I surprised! It was terrific. I laughed, giggled, smiled and just plain enjoyed the whole enterprise. I will say that in all honesty it is (in my opinion) not as deep and layered as Miles as his best, but it is a truly fun read. Talia has always known that she isn't suited for the life her elders have chosen for her. As part of a small, conservative community, she's never been allowed beyond the boundaries of her father's lands. Her only window to the outside world has been the few books she's been allowed to read, but this only fuels her desire to know more. 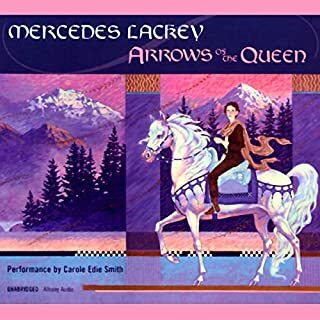 This is a great listen with the all the story telling talent and character building that I love in Mercedes Lackey tales. But it is just one of a couple of dozen books in the original Valdemar series and in fact comes late in the world building chronology. 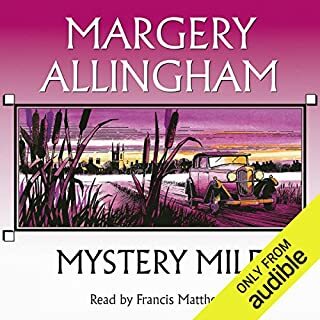 It is a fine stand-alone read but is even better when read in the context of the rest of the series (which for some unknown reason is not available on Audible) So read it and enjoy but please keep asking for the rest of them - they are all worth the effort! I should add that although the "collegium" books take place in the Valdemar world and are pleasant they are not of the same sophistication or caliber as the original Valdemar books. 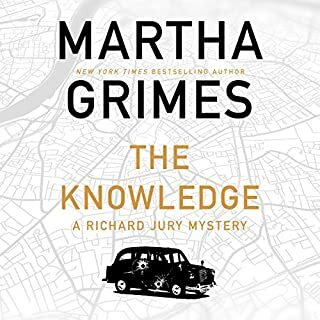 Where are the other Albert Campion mysteries?